Hey there WhatsAppers, Can I call you all that? Well, I figured if youtube users are referred to as YouTubers, WhatsApp users can also join on the suffix. This article is actually WhatsApp related. 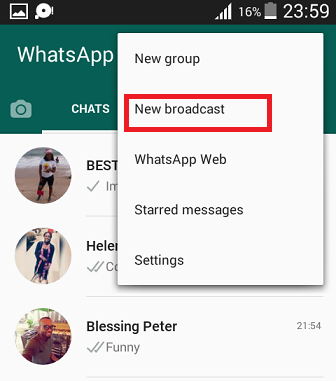 In a jiffy, I will show you how to create a broadcast list on WhatsApp with 100% ease. What’s that? 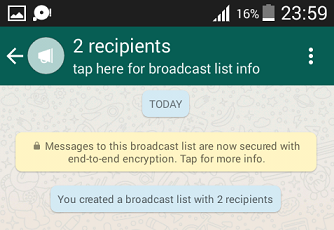 Everyone knows how to create a broadcast list on WhatsApp? haha, funny. 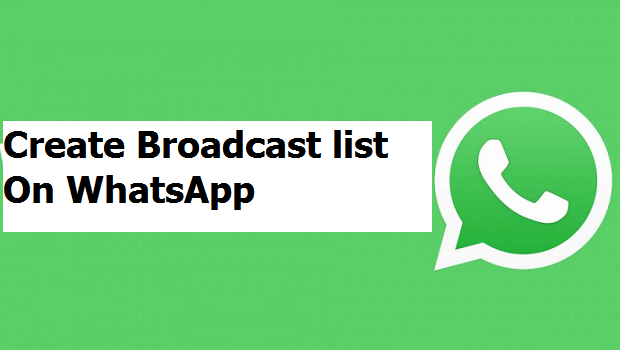 Believe it or not, there’s a 40% chance that most people reading that will read this article will be so happy to finally learn how to create a broadcast list on WhatsApp. I know 3 friends of mine who didn’t even know what broadcast list on WhatsApp meant. And that brings me to my next paragraph: What is a broadcast list on WhatsApp? 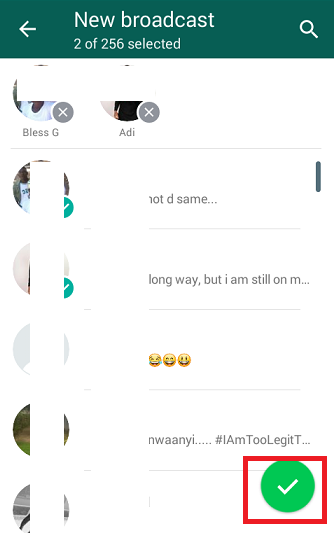 A broadcast list on WhatsApp is a list (in form of a group) where you add as many phone numbers as you want. A broadcast list on WhatsApp saves you from the stress of having to send an announcement or focused text to different people at different time intervals. Imagine if you had an announcement to make so badly to specific persons that you have invited to your wedding, you’d agree with me that sending messages to them individually take a lot of time and will also be tiring. However, you can send just one message on your broadcast list and it gets delivered to over 100 people. Enough of the long talk, Lets cut straight to the chase, shall we? 2. Click on the utility or menu icon located at the top right of your Android screen. 4. Select numbers you want to add to your broadcast list and click on the green check icon located at the bottom right of your Android screen. There you have it, Those are all the necessary steps needed to create a broadcast list on WhatsApp. If followed correctly you are sure to have zero issues. Note: A broadcast list on WhatsApp is not like a WhatsApp group that enables users to chat with you or other people in the group. In a broadcast list, your replies will be private. (That’s if you are replying a broadcast message from someone else’s broadcast list. If you are the creator of a WhatsApp broadcast list, any message you send through the broadcast list will be sent to all the contacts you have on your broadcast list. Q: Is there a limit to how many contacts I can add to my broadcast list. A: Personally, I’d say I’m not sure that there’s a limit, I think you can add as many numbers as you want to and there will still be room for more. Q: Can I assign a name to my broadcast group? A: Sure thing, just head over to WhatsApp > Open the broadcast list > tap on the bar at the top of pop-up broadcast settings > Tap on the pencil icon > Input your desired name an click OK to save. Q: How do I delete my broadcast group? 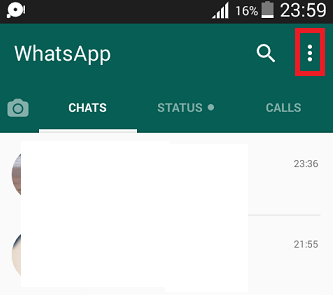 A: Open WhatsApp > Open the broadcast list > tap on the bar at the top of pop-up broadcast settings > Tap on delete broadcast list.